The primrose jasmine shrub (Jasminum mesnyi) is a widely grown evergreen. The primrose shrub produces long stems that climb without the aid of a trellis or other support. It can easily grow 10 feet in height with a 10 foot or greater spread. 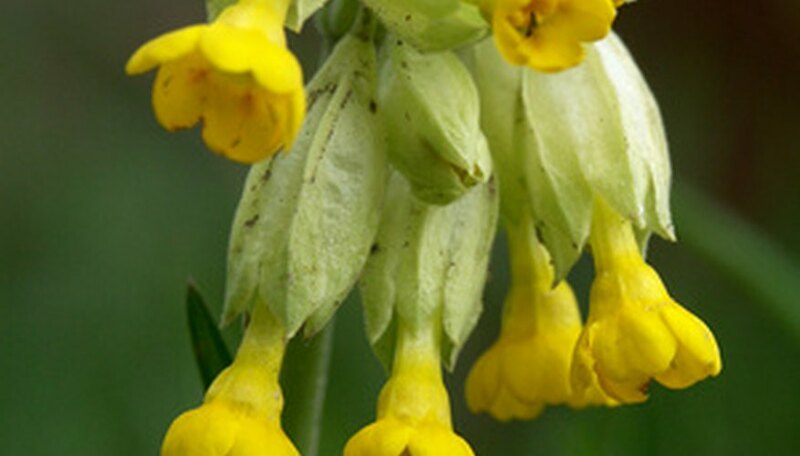 The shrub produces an abundance of fragrant yellow trumpet-shaped flowers from spring to early summer. The primrose jasmine shrub prefers a tropical to sub-tropical climate. It will not tolerate the cold or freezing conditions. A hard frost will quickly kill the shrub to the ground, but it may return when the weather warms up. The primrose shrub prefers to be planted in full sunlight to partial shade. It will tolerate any soil that is well-drained. The shrub produces an abundance of blossoms unless a late spring freeze, which will quickly kill all or a majority of the shrub's flower blossoms, causing the flowering season to be poor or non-existent. The primrose jasmine shrub is ideal when draped over a fence line. It can also be used to control areas of soil erosion or simply allowed to grow wild along slopes. The canes easily take root when they touch the ground, so the plant can be allowed to trail out along the ground. The shrub makes an ideal hedge or screen. The primrose shrub requires ample water and does not tolerate times of drought well. It prefers moist soil but will not do well in standing water. Pruning should occur right after flowering. Old canes can be sheared to the ground and new canes trimmed back. Pruning is normally only required to control growth. It is not advised to dramatically prune the shrub, or the arching, graceful appearance will be severely hindered.